I’m posting for a second time today because, well, these photos and these stories just need to be shared. 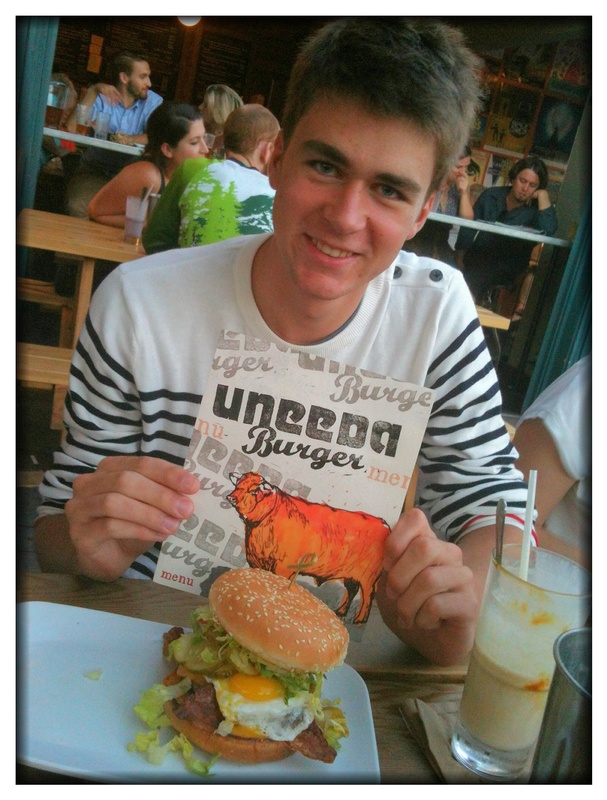 First, as I mentioned, we took Théo to a hamburger restaurant called Uneeda Burger in the Fremont neighborhood of Seattle. 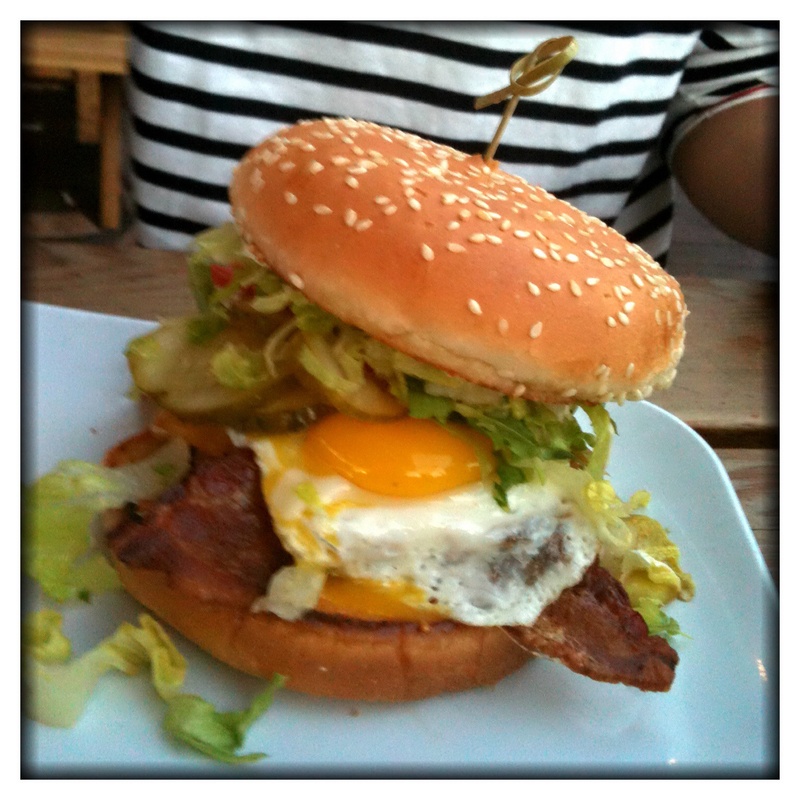 Théo carefully contemplated the menu, considering some of the signature burgers before settling on the “classic.” But he doctored that one up, adding bacon, cheddar, and a fried egg (see photos). He also managed to slosh down a salted caramel milkshake, in the process telling us the only other time in his life he’s had a milkshake is when he had his wisdom teeth removed. After the meal, Melinda, Ella (who is finally feeling better after having been sick in bed the last 3 days) and I took Théo to Gas Works Park. I think Melinda was reminiscing about our last night in Seattle last summer with Théo’s parents, Christine and Bernard. « 17 August 2014 : Paddleboarding at SYC! I LOVE that picture at gas works park! You all look great. Great memories… Wish I were here so bad. 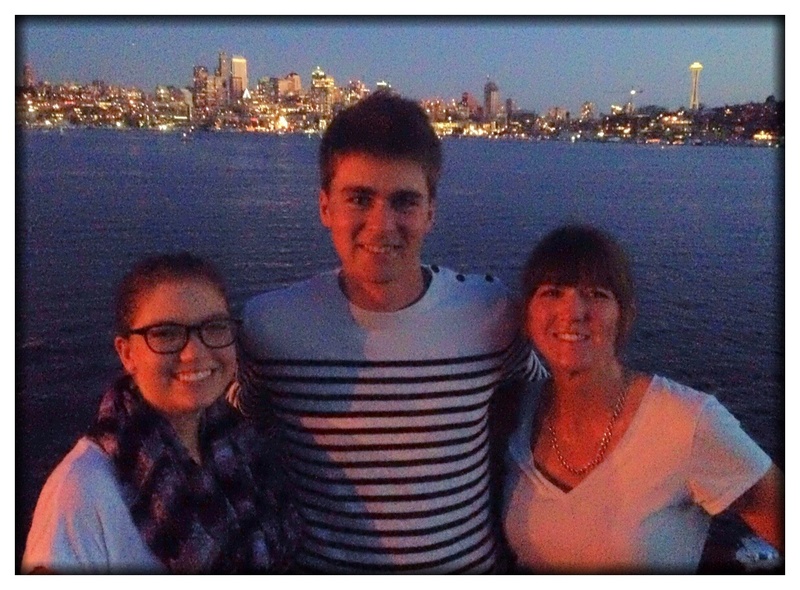 I think Théo has some even better pictures from Gas Works Park… Man, we wish you were here, too.